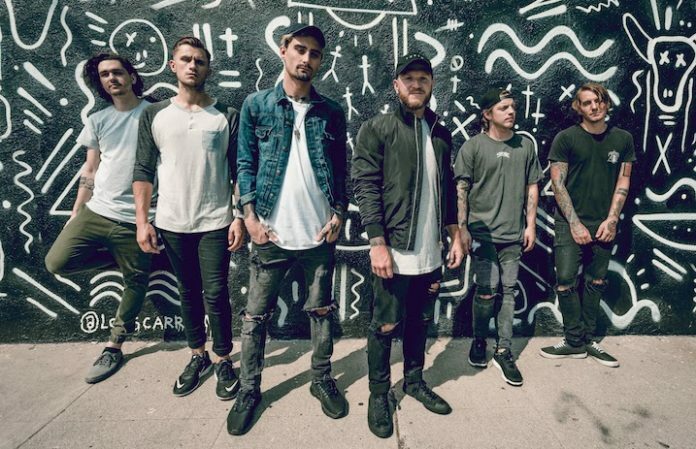 We Came As Romans’ self-titled album was not what they thought it would be. The 2015 release attempted to take the band in a more radio-rock direction, and with outside pressures from management and other industry advisors, WCAR ended up losing sight of who they really were. And with their new record Cold Like War, they are not ashamed to admit it. Their collective dissatisfaction with their last release resulted in an album that they would all come to feel is the truest reflection of WCAR. This time around, everything in the music-making process was up to them. “There’s no hiding,” bassist Glass asserts. “You can’t go anywhere. So being yourself is the only option we had. You can’t be something you’re not. People see right through.” The desire to come out with new material that’s as sincere and authentic as possible drove the band to make aggressive, yet vulnerable, songs about some of their worst moments these past couple of years. 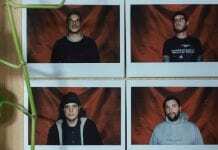 Their new single, “Foreign Fire,” is perhaps the most devastating track of all. Coming off a subpar record and having to deal with the cruel realities of life almost destroyed the band. “It was really scary, to be honest,” Stephens admits. “We were kind of having an identity crisis. We didn’t know what we were supposed to sound like, what direction we were supposed to go, or if people even really cared anymore. Going into [t[the new record]we had this mindset [o[of]o or die. Our backs were kind of against the wall, and we had to make the best record of our career.” Glass adds, “We were all terrified. It’s like the feeling of being terrified to be yourself, which should never be an issue.” But despite all of the insecurities and doubts, WCAR pulled through and worked harder than ever on Cold Like War. After the grueling 11-month task of making the new record, the band have finally arrived at a sense of positivity and togetherness. 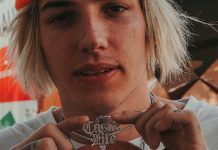 “I’ve never seen my band so happy on the road,” Stephens says of their current tour with I Prevail, Escape The Fate and the Word Alive. “It almost has re-sparked the band. There’s a new kind of passion, almost a youthfulness to everything we’re doing. Everything feels exciting. 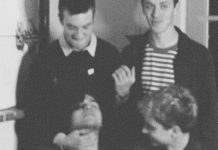 We find ourselves just enjoying the moment more.” Given the record’s theme of struggle and learning from past mistakes, it is clear the band are fully aware that pure happiness doesn’t always last. Rather, it’s about striking a balance. But right now, WCAR couldn’t be more proud of this new single and their fifth full-length.